We are so excited to welcome you to our new and improved website! At Hasseman Marketing, we work hard to provide our customers and prospects value, and we hope our new site is better designed to do just that. On the other hand, we wanted to keep some of the personality that made our old site fun! So let’s talk a bit about what you are going to find today…and moving forward! We Are A Media Company: I talk all of the time with our clients that “everyone is a media company” today. I wrote this post last year and talked about my commitment to that. But the fact is, though we create more content than most companies, we had it all over the place on the web. This new and improved site has nearly all of our content in one place. We have our blog on the site, which we have always had. But you can also find Delivering Marketing Joy, my Day in the Life VLOG, and several podcasts…all right here! My goal is to have a new piece of content on this page nearly every day! Showcasing Our Services: Believe it or not, our old site did not have all of the things that we offered on it! We want to fix that. Now each of the areas where we can serve your business, has a dedicated page on the site. Want to learn about our in house print offerings? You can learn about that here. Want to know how we can help you with video? You can find that here. And new to our services, we are now offering Web Development Services too! We are excited to have Eric Dingler help us with this new service. If you want to learn about this, you can find more information here. As a side note, each of these services needs more detail…but that will be coming soon! Contacting Our Team: We always have fun with our About Us page, and this one is no different. We included some testimonials from some great clients AND we have information about each of our great team members…and how to contact them! You can find that page here. So that’s what I think! What do YOU think? Let me know. We are excited to continue to evolve and grow to serve you better! Make sure you never miss an update! Each week we send ONE email to catch you up on all of the content of the week. You can get on our VIP list by signing up here. Okay. So maybe that was a bit of reverse psychology. If you are reading this, though, it must have worked. But I promise there is a point to this exercise. Many of you know that we have been creating content for quite some time now. I have created hundreds of podcasts, probably over 300 videos, and well over 500 blog posts. I have committed to the idea of creating value through content, because it’s the right thing to do. (And it’s working). But one thing I have yet to REALLY learn is what will work. I talk about this a bit here. What I mean by this is that sometimes I write a blog that I think is really good. I am excited about the topic and I think it will add value to a lot of people. I am fired up to push publish…and…nothing. Often, those sure-fire hit blog posts don’t seem to resonate. Then, especially as I was committed to writing a blog every day, I might crank out a quick one with very little thought and BOOM, that article takes off. When I blogged about this in the link above I got quite a bit of feedback that I needed to see what my audience was passionate about, and stick with that. So I tried. I noticed that sometimes I wrote specifically about a marketing topic, and that did well. For example, this blog about how to deal with Haters online was read quite a bit. So I decided to write another article like that. Here is a one that discusses treating social media like a cocktail party. Okay…maybe it’s about “real” stories and authenticity. This is a word everyone throws around a ton, so that must be true! I wrote this article saying “I am NOT for everyone” and it was one of the most read blogs of 2018. It was written out of a moment of frustration. So what if I shared those moments more? I wrote this blog about being overwhelmed and…well…the results were okay. I have had the same results with video. I am excited about my Day in the Life videos. For example, this one where we lost our Drone got over 500 views pretty quickly. But we have others in this series that (it feels like) no one watches. Just currently, I am excited about this video we created that’s a little more inspirational. It’s gotten some great feedback, so I am thinking of creating more things like that. The point of all of this exercise is that it’s a work in process. Even the best content creators have pieces of content that flop. It happens in Hollywood all of the time! The best studios, producers and actors team up on a project…and no one cares. So if it happens to the best, don’t worry when it happens to you. It’s important, I think, to just keep showing up. Keep pushing out your message and your value into the world. You probably won’t know when something will flop. But you also might be delighted when something really takes off and makes a difference. Oh…and the same is true for sales too. You never know if THIS will be the sales call that helps you break through. Go get it. Make sure you never miss an update. Now is a great day to become a VIP! We send out one email per week with all of the content we create in one place. Sign up here to be on the list. At the beginning of this year, I made a commitment to do more video. The goal was to provide value through content in new ways. It might be to entertain, educate or inspire. And though we have been super active with this blog (and I want to continue to be), I felt like video is another way to reach out. So I wanted to share a few videos that you might not have seen so far this year. Oh…and if you want to make sure don’t miss, you can subscribe to my Youtube channel here. 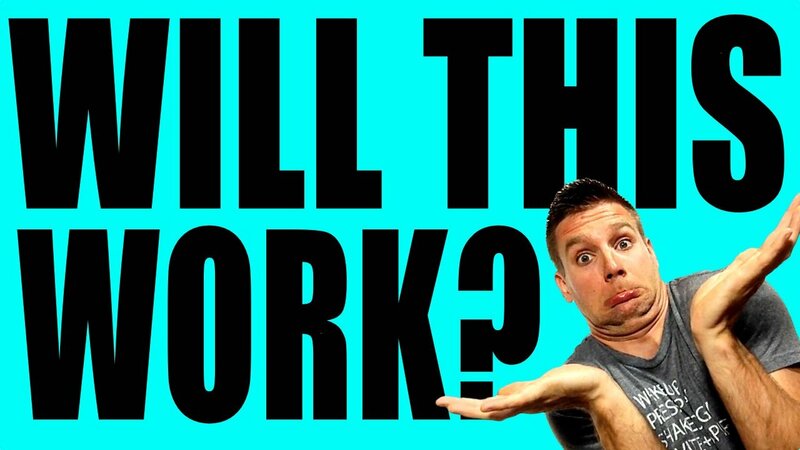 My goal is to increase my number of subscribers…so you can help! Delivering Marketing Joy: As you may or may not know, I have been doing a web show called Delivering Marketing Joy for several years now. Every Wednesday, I interview a new marketer, entrepreneur, author or leader…and I have done that for over 220 episodes! Today I talk to Jason Lucash from Origaudio, and you can watch that here. Motivational: I have also tried to make a commitment to inspire more this year through video. This recent video for the New Year is an example of that. Watch this and let me know what you think! Remember, if you want to have a better year (or week or month) you need to take action! Day in the Life: In addition, I started a vlog series that I call a “day in the life” that follows me around in different areas of business. This is from a recent trip to Vegas for the PPAI Expo. The goal is to entertain and inform…and there will be plenty more to come. Community Support: Finally, I want to help support things in the community that inspire me. That’s why I created this video about Kids America and this short video about helping the homeless. Either way, my hope is I will be creating some video that you enjoy. As I said, if you are interested, feel free to subscribe to my Youtube channel here. And of course if you want to make sure you never miss any content, you can sign up to be a VIP here. Will THIS Work? I Have No Idea. It’s hard to believe it’s been over a half a year! For better than 6 months, I have been writing a blog post here each and every day. It’s Saturday morning, as I write this, and here I am, typing away. The experience has been enlightening in many ways, and it has forced me to stretch myself. Ed Mylett talks about being successful starts with “keeping promises to yourself,” and this has been that for me. But one thing it has truly taught me is what I DON’T know. I don’t know what it going to work. I don’t know what is going to resonate. I don’t know what is going to help people. I will give you an example from this week. On Monday I posted a blog that I wrote a few years ago. It was 5 Business Lessons you can learn from Garth Brooks. I was watching a concert with him at Notre Dame Stadium and that seemed appropriate. It was a blog post that did very well. Then on Friday I posted 5 Business Lessons you can Learn from Adam Sandler. (I had seen him on the sideline of an NBA highlight). I enjoyed writing this and thought it would really take off. I linked to outside sources. I referenced movies. This post was viewed 8 times LESS than the one above. Was it because Garth is better than Adam? Was one better written than the other? Was it the time of day? Was it the day? What was the reason that one of them took off…and the other did not? The honest answer–after 6 months of doing this every day–is I have no idea. I think this is a strange little mind game that holds people back. They just don’t know what is going to work. So they think about it. Then they think about it some more. Then they talk about it and plan about it…and do nothing. This question of whether it is going to work creates a “paralysis by analysis.” They literally “think” themselves out of taking action. What I have learned from this exercise of writing every day is we need to do just the opposite. We need to lean into action, precisely because we don’t know what is going to work! That consistency of taking action is what will create the outcome we are looking for. It’s not the one action. It’s the many. *In sales, we don’t make the sales call because it’s not the right time of day, week, year, etc. But you don’t know. So you might as well make the call. *In fitness, we don’t start working out because we are going to wait for the next new workout plan. Just get on the treadmill. You get the idea. Will it work? Will it fail? Will this be the magic video that goes viral? The answer, if we are honest, is we don’t know. Will this be the blog that has an impact and creates a mindset of change for you? I don’t know. So I will hit publish to find out. It’s time to become a VIP! Sign up for our VIP list here. If you had told me, when I was first watching Billy Madison, that I was watching one of the most bankable movie stars of the next 20 years, I would not have believed you. Adam Sandler was silly, obnoxious, absurd and, well, funny. But I did not see this as an act someone could ride for more than one movie or two. I would have been wrong. Way wrong. 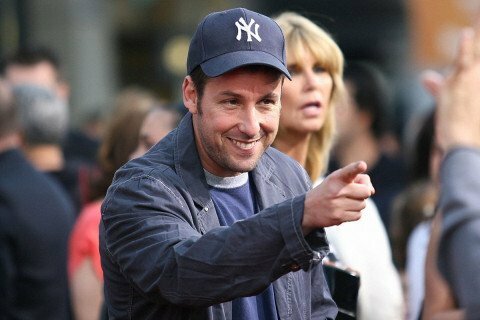 For years, Adam Sandler has made movies and money at the box office. He has had some really fun movies (Happy Gilmore, Waterboy and Grown ups) and he has made some bad ones (think Grown ups 2). But whether you like Sandler or not, I think he has several things to teach us about business. Do What You Do: Sandlers first movies were obviously not Academy Award winners. But he found a formula that worked, and he stuck to it. He was the goofy underdog that overcomes in the end. Then, obviously a sports lover, he started making silly movies about sports. He found his niche, and did not try to be something he was not.Lesson: Find your niche. Be authentic. Have A Crew: One thing that always catches my eye with Sandler movies, is he has a consistent group of friends that he works with. Sure, he is obviously buddies with Chris Rock, David Spade and Kevin James. But his other cast of characters comes with him on nearly every project too. When you have a crew you enjoy working with (and trust), keep working with them!Lesson: Find a team you trust…and stick with them. Be Willing To Fail: Though I enjoy some of Sandler’s movies, he has certainly has had some stinkers (Jack and Jill and Little Nicky come to mind). But each of these has involved him trying something and taking some creative risks. The fact is, once people hit a certain level of success, many people don’t want to try something new. They don’t want to fail. I love that Sandler is willing to try some off the wall things. They either work, or they don’t. But he is already off to something new. Lesson: Take creative risks. Failure is not the end of the world. Let Others Shine: As I mentioned, Sandler clearly likes working with friends. He has even created a production company that produces movies that he is not even in! He lets some of his other friends take the lead and showcase their talents whether he is involved on screen or not.Lesson: You don’t always have to be center stage. Let others have the spotlight. Be Willing to Branch Out: Once he established himself in Hollywood, I like that Sandler did do some more family friendly movies. Though he still has his core characters, he has done some movies that the whole family can enjoy. Lesson: Once you have a track of success, continue to grow. The most successful people, in any arenas, can teach us lessons we can emulate. Adam Sandler has created an amazing career that nearly anyone could envy. And best of all, it seems like he enjoys it too. Bravo. Make sure you never miss an update! Become a VIP here. We take all of the content we create each week and put it in one email for you! Sign up here.